We had a great turnout for our 2nd WISE Membership Luncheon of 2018 today! WISE Members had the opportunity to network with members, meet some of the member’s mothers and also share how a strong woman has helped influence their life! We celebrated our moms and women who have helped to inspire, support or empower us in our journey. This was our first Mother’s Day Celebration luncheon for WISE! It was very successful and we hope to continue with this event next year. 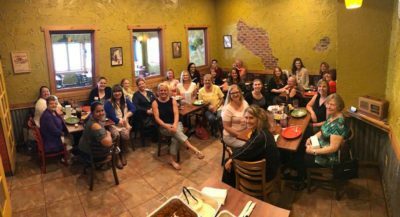 Thanks to our generous sponsors Thorne Insurance, Orthoworx and Indiana Tech, WISE was able to offer a taco bar lunch to 22 of our members and 6 of their mothers or family members! Our next Membership Luncheon will be held on September 13th, we hope to see you there!